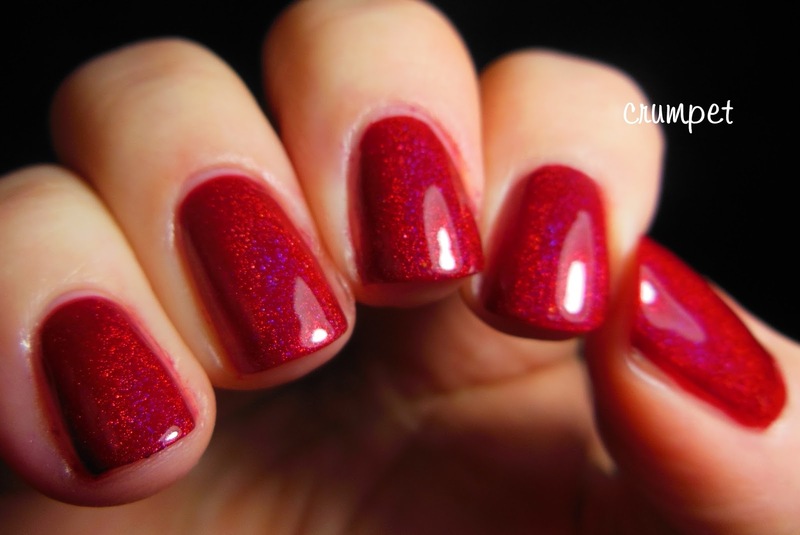 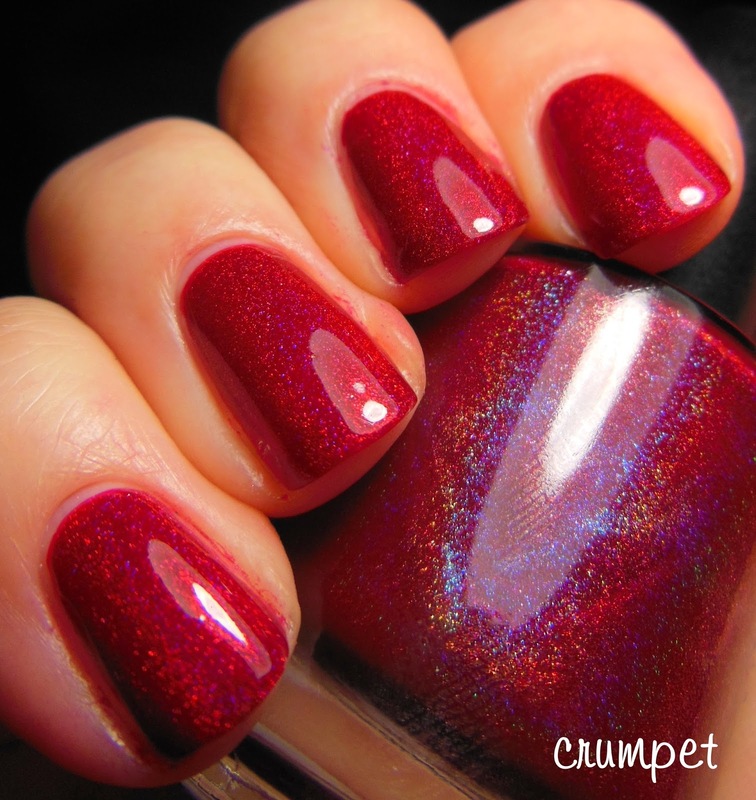 In life, I don't think there are many better polish options than a good red holo. 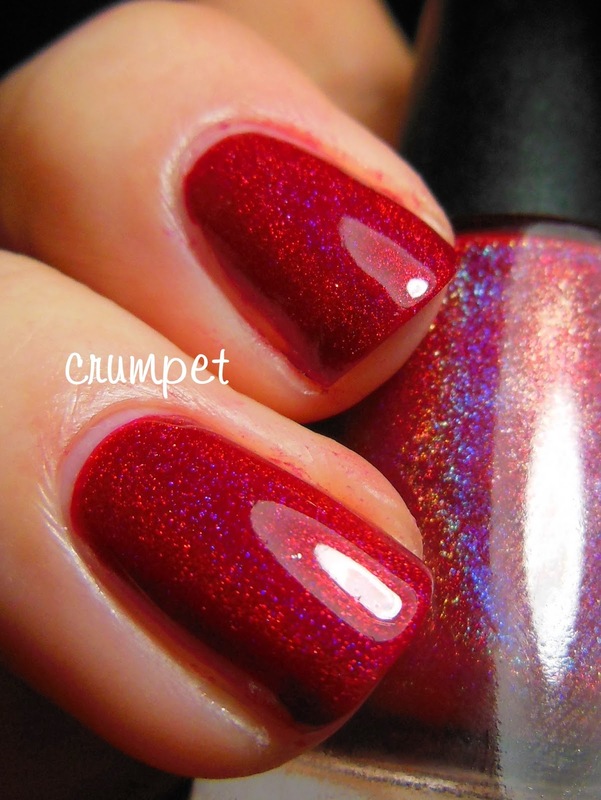 And by that I mean one that oozes with red, drips with drama and looks utterly lickable. 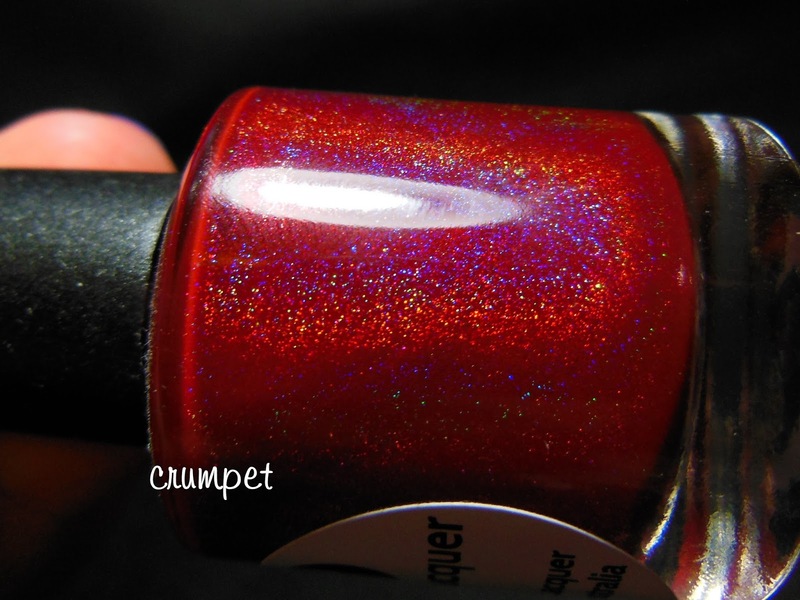 Red holos have come a LONG way since I bought my first one 3 years ago (Glitter Gal, if you wanted to know). 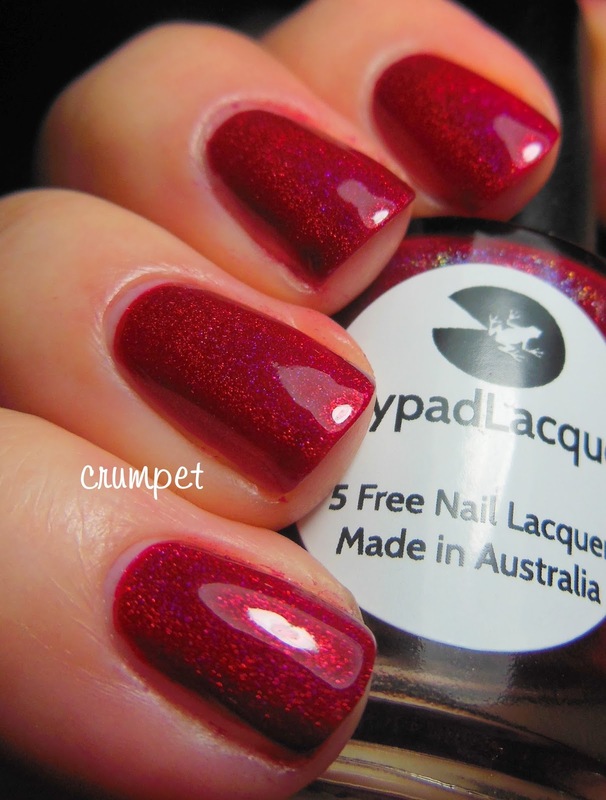 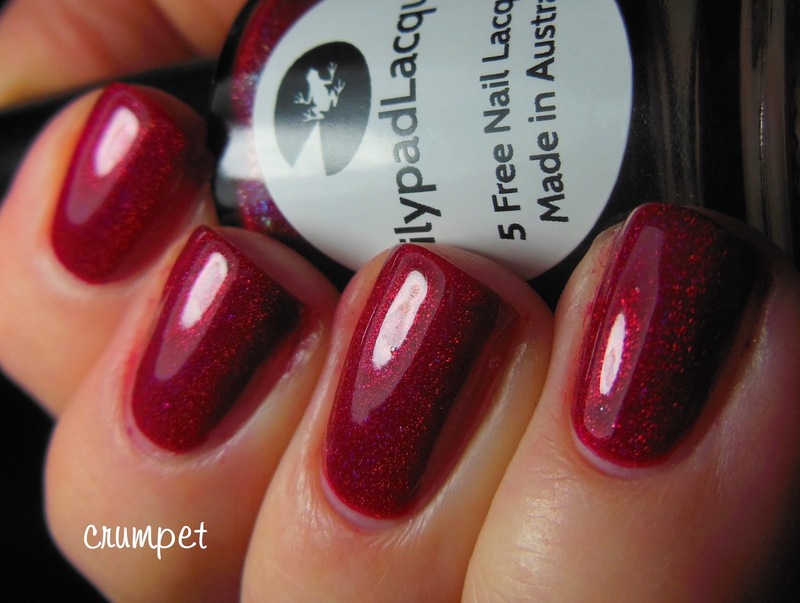 Back then, it was a struggle to keep the polish red, as Spectraflair automatically subdues colour, and that's why so many early red holos had a pinkiness to them. 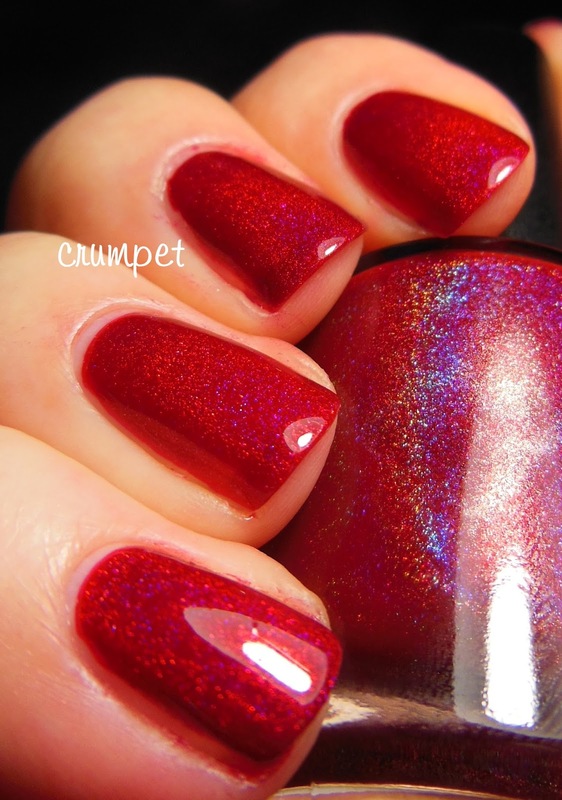 Thankfully, somewhere along the way, someone solved the problem, and thankfully, we have now have EPIC red holos like Rebel At Heart. 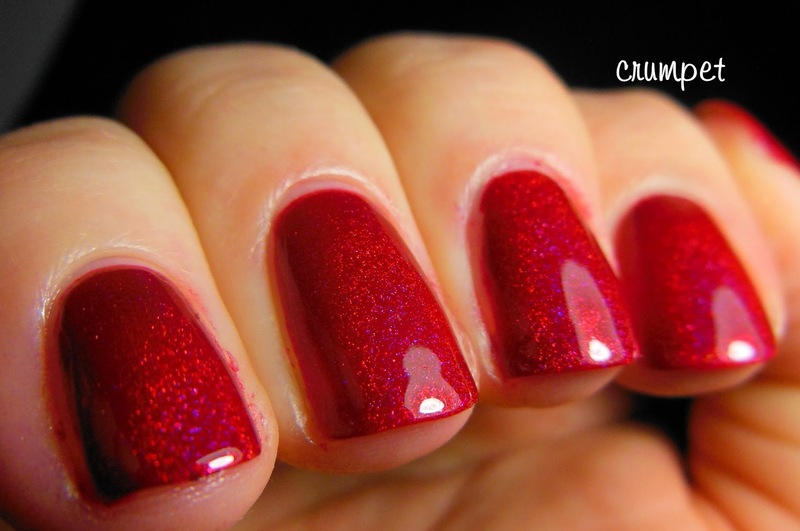 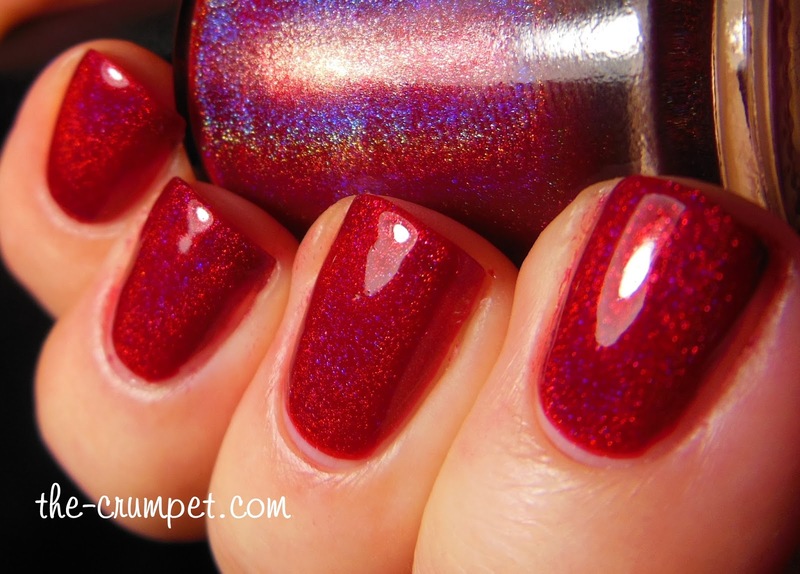 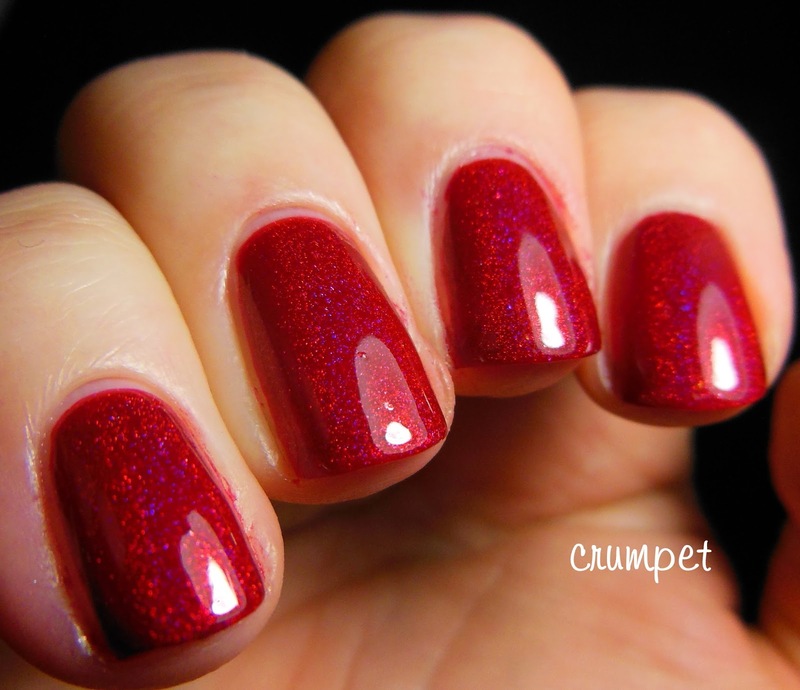 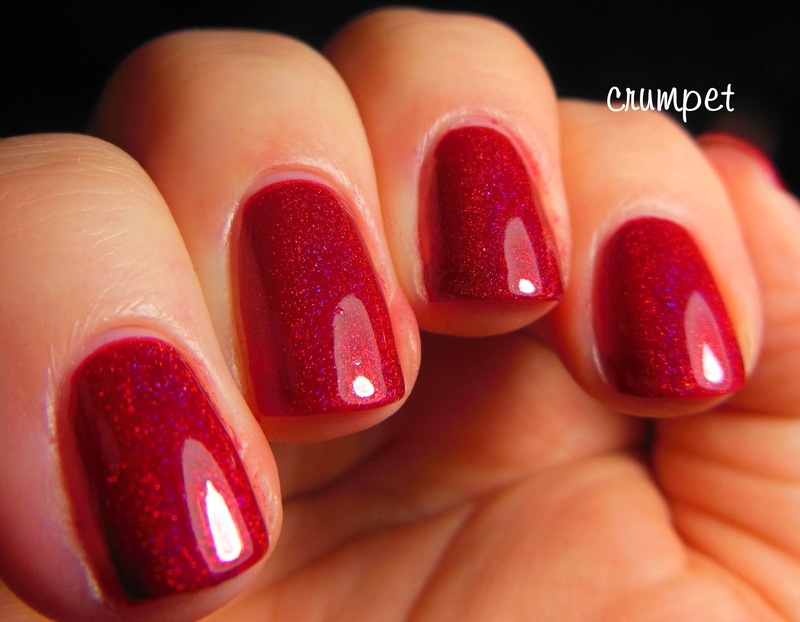 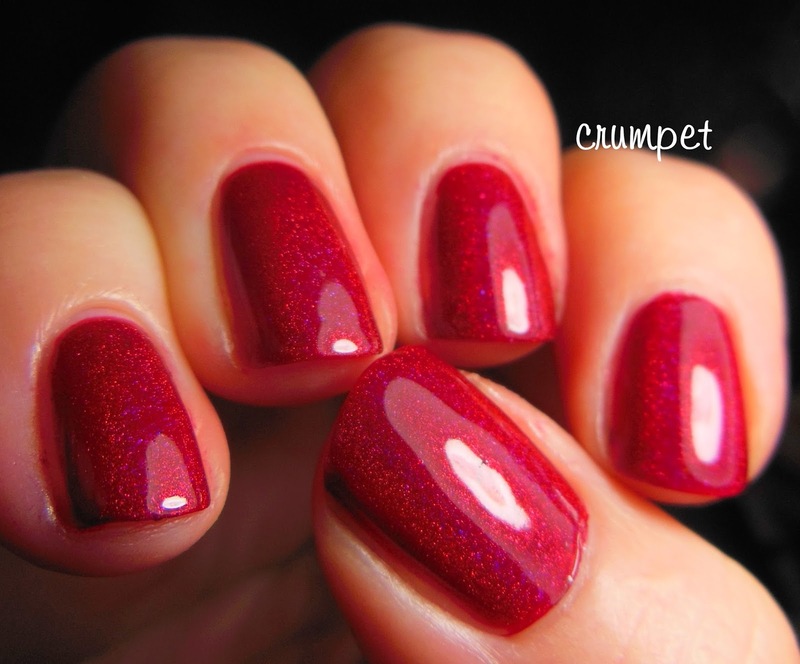 This is super plush, bright as poppies, deep as rubies, holo-fantastic and ugh, just to die for. 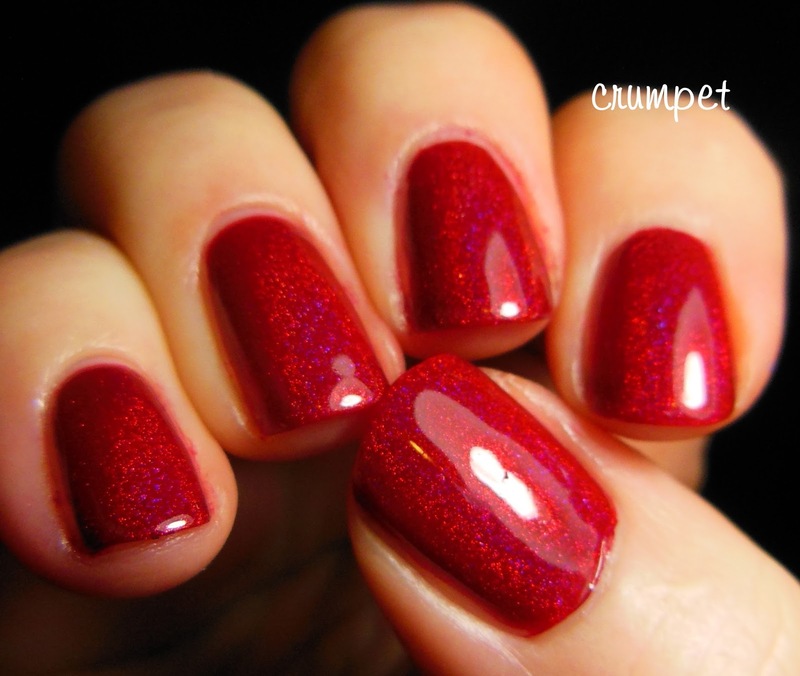 It's glory, all the way. 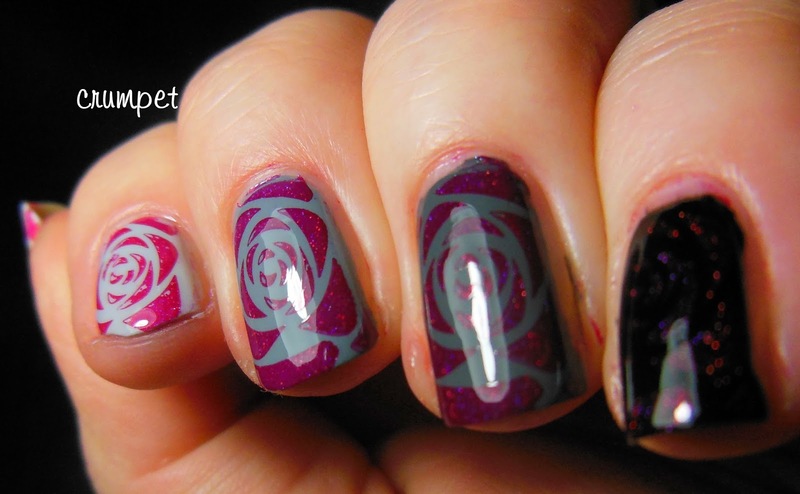 Lilypad polishes tend to be fairly opaque, so I wanted to test the stamping-ability. 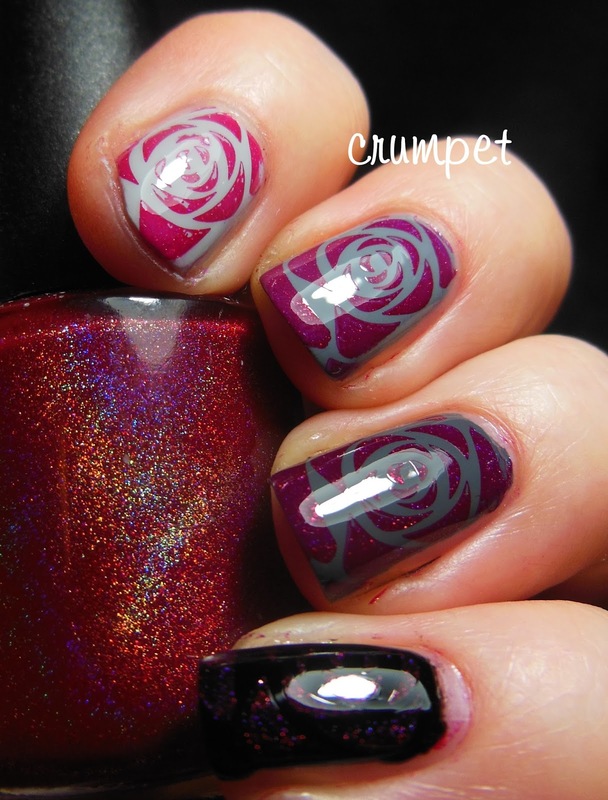 I did this over the Ombre I did for Simples a few weeks ago, and it was an interesting exercise in how a polish changes according to the base. 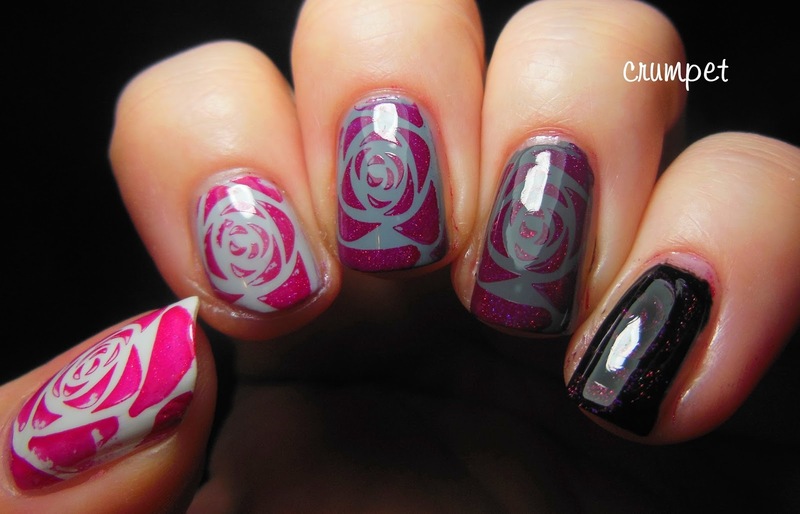 As you can see, it's quite insipid on the paler nails, but really comes into its own on the medium grey nails. 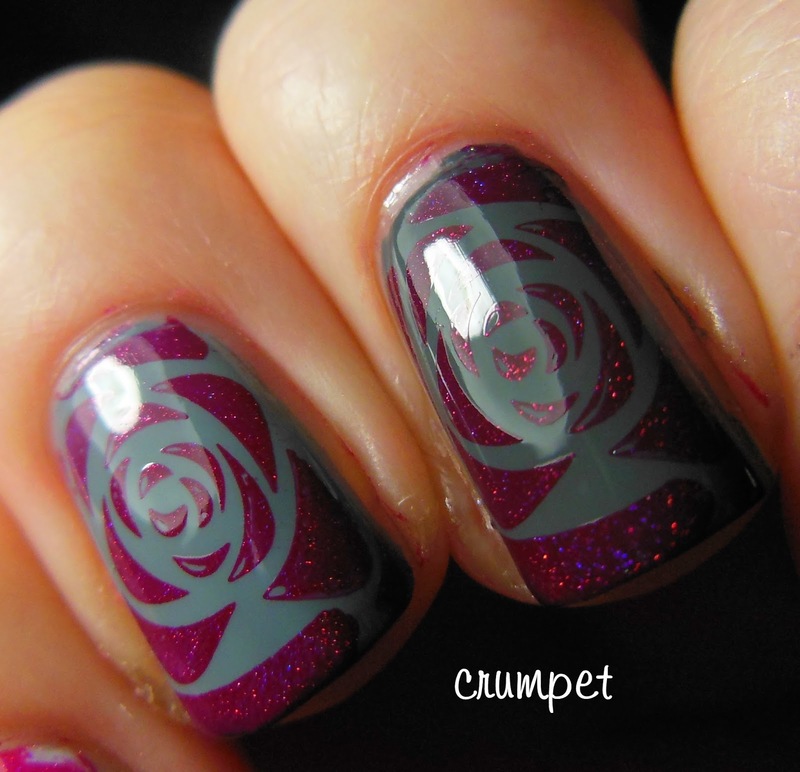 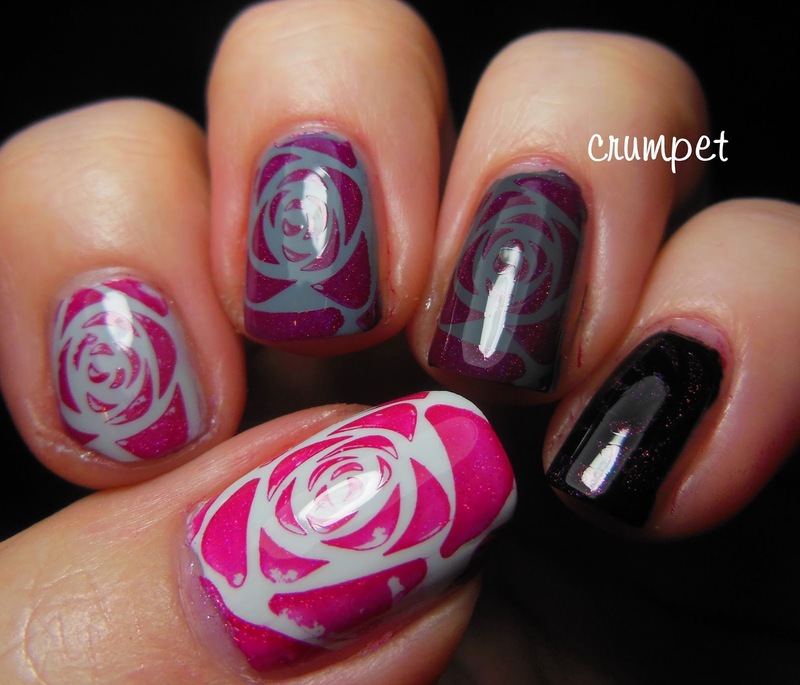 Oh, and lesson here - if the image isn't complete on your stamper, don's expect the gaps to magically fill themselves in on your nail!